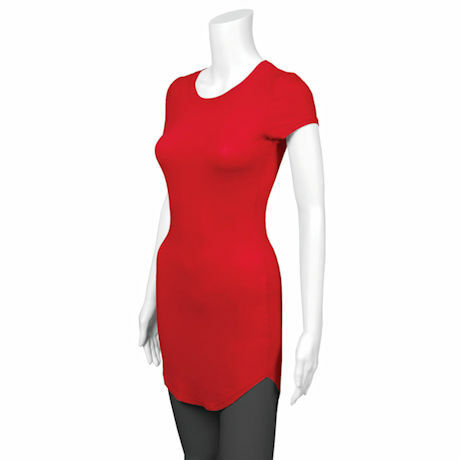 A cute and comfortable basic, this ready-to-wear dress is amazing for both casual days and romantic nights. 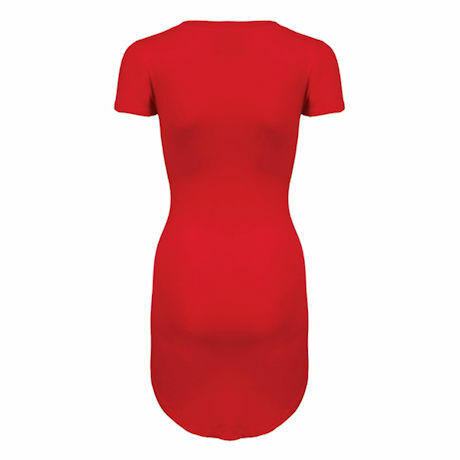 Soft knit fabric falls from a round neckline into a flattering feminine cut. Pair with your favorite sneakers for a casual look, or dress it up with wedges and a necklace. Comfy, wrinkle resistant 60% cotton, 35% rayon, 5% spandex. Available in Black, White, Heather Gray, Red, Royal Blue. Machine wash. Sizes: S(Chest: 28-30, Waist: 25-27), M(Chest: 30-32,Waist: 27-29), L(Chest: 32-34, Waist: 29-31), XL(Chest: 34-36, Waist: 31-33), 2XL(Chest: 37-39, Waist: 34-36), 3XL(Chest: 39-41,Waist: 36-38). Imported.